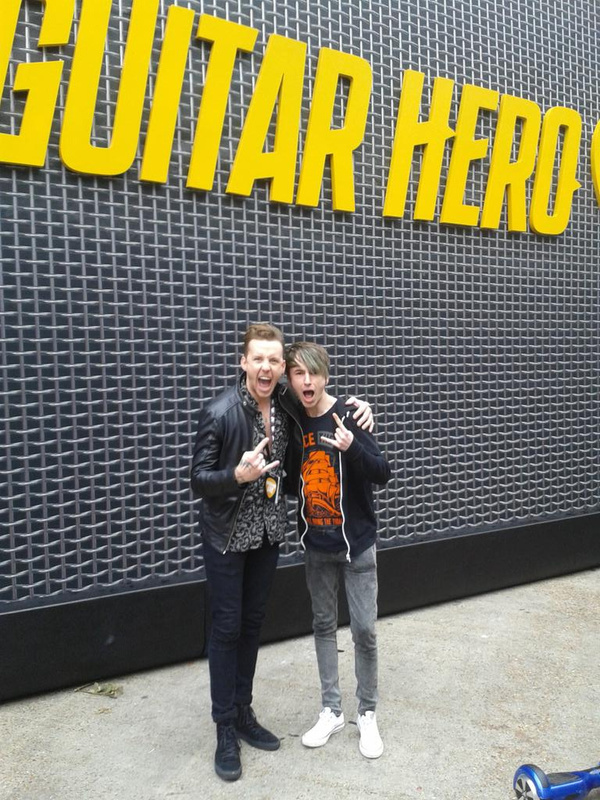 Guitar Hero Live is now in stores, and this week we were lucky enough to be invited by the Activision team to a behind the scenes launch party in London packed with celebs, YouTube stars and as many plastic guitars as you can imagine. 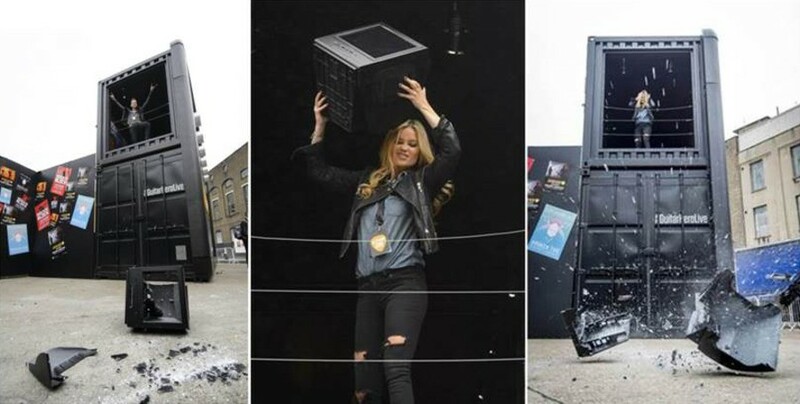 Things started off with a bang - quite literally - as former MTV host Laura Whitmore unleashed her inner rock star by throwing a TV from a giant guitar amp. 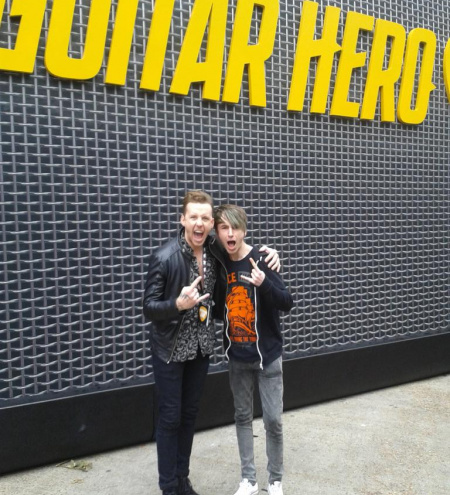 She was later joined by McFly and McBusted star Danny Jones who seemed incredibly comfortable with the whole 'turn up and smash some stuff' role. Maybe rock stars really do have as much fun as we think they do? Danny stuck around for a little after to have a chat with us and of course - professional as we always are - we grabbed a photo opportunity as soon as socially acceptable and with only a small amount of dignity lost. 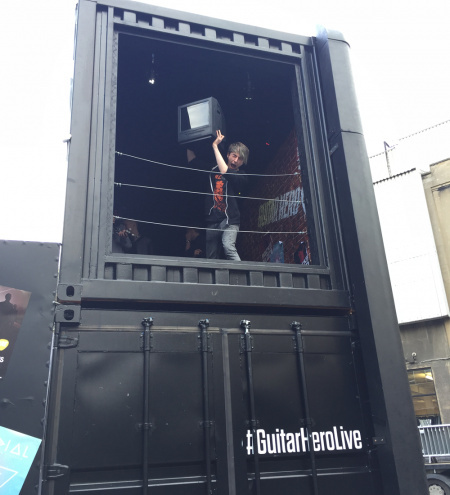 It's not every day that you have access to possibly the biggest guitar amp in existence, a TV that you're willing to smash and a crowd to watch you do it, so it seemed like a perfect opportunity to have a go at the rock star life ourselves. Only one television was harmed during the production of that photograph. The game was playable at the event and everybody, ourselves and the celebrities alike, seemed to be having a good time. Check out our review in which our reviewer Stateside rather enjoyed it too. 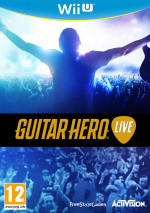 And if that's not enough Guitar Hero for you, don't fret! (Fret! You know, as in... Oh never mind.) The Nintendo Life team recently took to the YouTube Gaming stage at EGX to slaughter the competition and luckily for you guys - and by 'you guys' we mean 'us' - it was all captured on film. We paid for our own travel to this event, though were given a complimentary PS4 copy of the game. 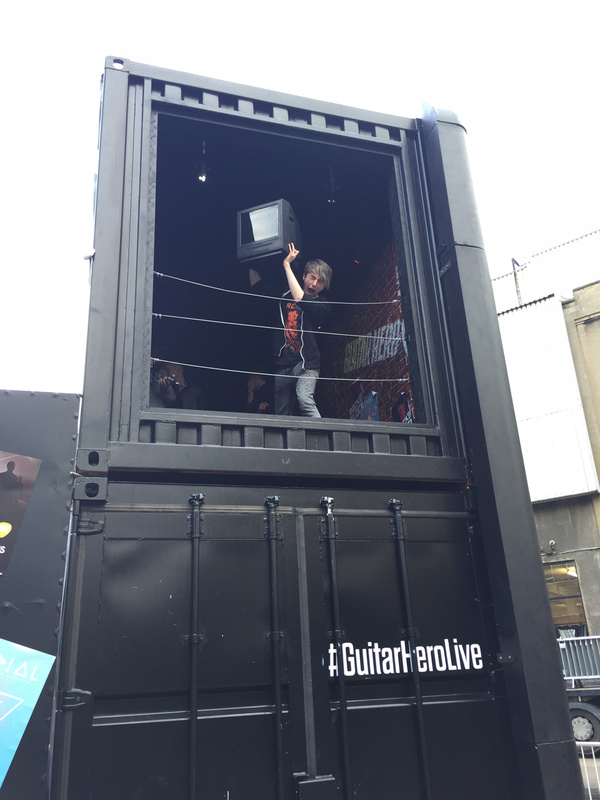 Good work, they just released carcinogenic hazardous materials into the atmosphere by killing that poor TV. Over 10 kg of lead available to be shattered into particulates, all the things in the tube itself like arsenic, beryllium, and cadmium, and mercury. I hope no one gets lung cancer. Youtube the video of Ace Frehley trashing a hotel room. Good times.